Kerala Houseboat is world famous staying facility to enjoy the natural and scenic beauty of Kerala. You will get the alluring beauty of Kerala with different Kerala houseboat packages. We offer various Kerala Houseboat Packages with a reasonable price. If you are planning for a Kerala houseboat trip, book your trip with us. Have a glimpse of our houseboat packages in Kerala. Book a Houseboat in Alleppey. We have a special Alleppey Houseboat Packages for our customers. We provide the best facilities and our staff offers great services. We also provide all the sightseeing around. You will enjoy the stay. Get to see the favorite locations in Kerala and enjoy a great stay by booking our Kumarakom Houseboat Packages. We offer best services at a very affordable price covering the beautiful backwaters of Kerala. Nileshwar Houseboat Packages are now available for our valuable customers. It is specially designed for the houseboat lovers. Have a great stay in our Houseboat near Bekal Kasaragod. Valiyaparamba backwaters are waiting for you with houseboats. Our Houseboats in Kerala is equipped with beautiful room facilities. We provide quality services to our customers. Find the best packages for different rooms. We have 1 bedroom houseboats facility available for our customers at a minimum price. You will get best services and facilities from us. 2 people can accommodate in this houseboat. We have fully Air-conditioned 2 bedroom houseboats for our customers. This is perfect for a family or group stay with king-sized bedroom, amazing views and more. Food facilities are also available for our customers. 3 bedroom houseboats have 3 bedrooms with attached bathroom facilities. You can share this with two or more families. It is equipped with separate dining hall, living room. Book your stay now. We have premium and deluxe 4 bedroom houseboats in Kerala. If you are planning to pay a visit with your big fat family, book this 4 bedroom houseboat. Staying in a Houseboat will give you splendid memories. If you are with your family or a group of friends, book this houseboat with 5 bedrooms. 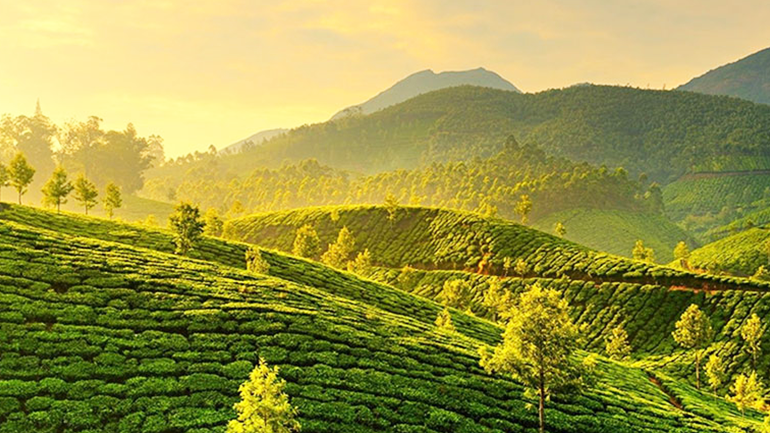 It includes all the sightseeing of Kerala. Get into the alluring place of Kerala and stay in this 6 bedroom houseboat with your big family or gang of friends. It is perfect for 12 persons excluding kids. Book it now. This 7 bedroom houseboats is beautiful and is best for a big family or large group of friends. The rooms are equipped with bathrooms, kitchens, TV and AC. Have a great stay with your family. Book it now. We have plethora of houseboats at a cheap rate. Taking care of your budget, we have designed some cheap rate houseboats. You will get excellent services and facilities. There are different houseboats with different room facilities. Book it now. Kerala has a wealth of waterways. they are mostly used for a livelihood by the local villagers and as a means of transportation. This stands in contrast to the tourism industry that has found a new investment in these lakes and lagoons. The houseboat packages in Kerala offer a variety of entertainment for tourists from all over the world. This is different from the gondolas of Venice. The houseboats are boats developed to have a few bedrooms and living room which may go up in numbers with the types. The most luxurious ones may have up to 15 bedrooms with spa, Jacuzzi and pools to name a few. They are literally floating palaces. Vembanad Lake is the most promising among all the lakes where houseboats take tourists for a boat ride that sticks to their minds forever. When all the water bodies in Kerala are summed up, they have interesting features to be noted. Some of them are connected by canals which can be navigated by shikharas only. They are similar to the ones in the famed Dal lake of Kashmir. These boats take you on a ride through the canals with villages on both the banks. Even local people commute in these boats daily to move from one island village to another. You can organize Kerala houseboat day tours if you are not interested in spending the night in the middle of the lake. That is also a once in a lifetime experience that can give you an out of the world experience. There are cheap Kerala houseboat packages readily available from anywhere in the world. Tourists from all over the world flock in huge numbers for a day of refreshing experience in the middle of the lakes. The best way to spend your vacation with family is on Kerala houseboat holiday packages that may include nearby destinations in Kerala like Munnar and thekkady. Honeymoon is the best occasion to express your love and when you have the option to choose a budget Kerala houseboat packages for your loved one, you will have never missed the romantic atmosphere ever prevalent in these settings. The lakes with random sprouts of green islands offer an experience never before known. Enjoy the most for your time with your sweetheart and you can always have a delicious lunch with the special Keralite seafood specialties. Kerala is rich with lakes and rivers and you can choose whichever lake you want to according to the proximity to the places you are visiting. For a better understanding, houseboats are mainly classified as standard, premium, deluxe and luxury. While standard and premium cater to couples and families with one to four bedroom facilities, deluxe and luxury are mainly used for group tours and conferences with six to fifteen bedrooms and conference halls additionally. The more luxurious ones are those with spa, Jacuzzi and pools giving you the ambience of five star resorts. They are also rated from two star to five star and seven star depending on the amenities provided. You can decide the best houseboat in your Kerala luxury houseboat packages and spend the day or stay overnight according to your needs. This is exactly why Kerala tour packages with houseboat are the best way you can discover the heritage and culture of Kerala. For the new generation who seek thrill in their lives every moment, this houseboat ride can be a fascinating trip away from the usual chaotic city life. Enjoy yourself as you indulge in pure joy that this exceptional journey gives you. We are excited to hear from you. So keep us informed about your vacation plans. An awesome experience and some wonderful coordination from the tour operators gave us the exciting holidays we needed very much. More to find out in Kerala and we are sure to return next year too. The hotel stay and food were very much indulging and we are returning with a refreshed body and rejuvenated mind. 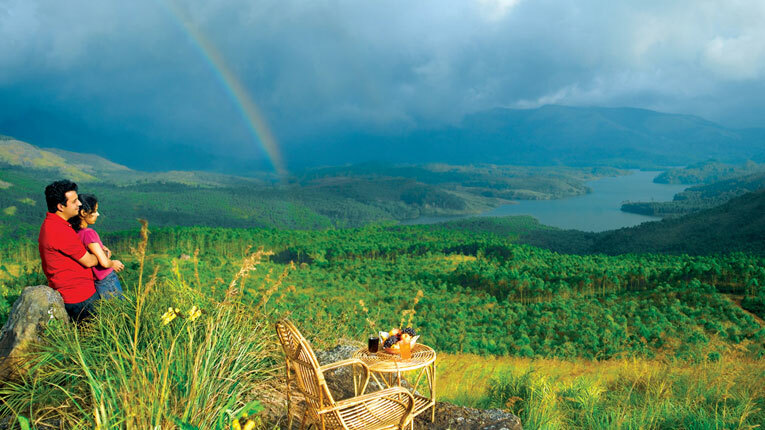 Thank you kerala tour packages guide for the wonderful services you offered us. We are delighted and sure to recommend you to our friends. My Kerala houseboat stay was a heavenly experience. Sure to send some of my friends down south soon. Our Kerala houseboat tour was coordinated well and the services were very well placed. Looking forward for more trips with you. My family got all those precious moments to cherish lifelong. We had the best food and the hotels reserved where just what we needed and much above our expectations. Courteous staff and drivers made the trip smooth. 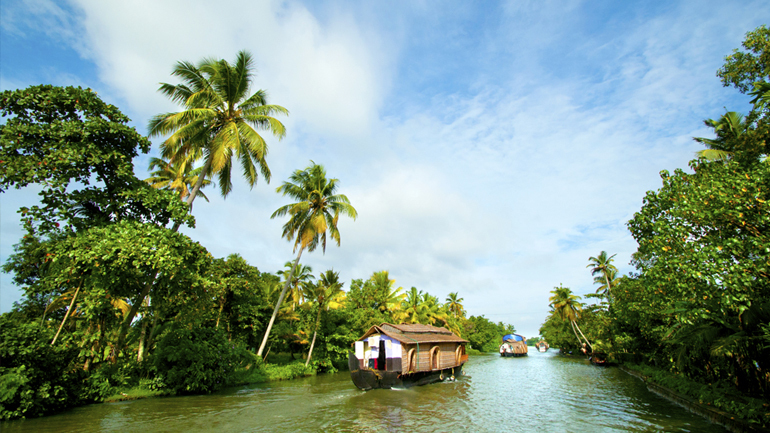 When we started this Kerala houseboat journey, it was rather a wild goose chase. But we were guided well enough and we knew it would be a splendid experience. We are looking forward for more Kerala trips with this tour operator again. We are ready for more. Looking forward for more excitement and fun from this God’s own country. We found some refreshing views throughout the Kerala houseboat tour and the route selected by the tour operators were very distinct and of good taste. We got more than what we expected and it was worth all the money spend. Wish we had come long before. Planning to make this a routine for every year as we select our yearly vacations and we are sure you are the best operator to handle it the best way. Casual and cool, this vacation turned out to be a showstopper for our kids. They were enjoying every bit of it and thanks to the tour operator, we never felt out of place even for a moment.Food in the houseboats of Kerala is amazing. Meals with karimeen fry!